Take the TIME to do your own INTERVIEW…. What is an interview? Wikipedia defines interview as a conversation between two or more people (the interviewer and the interviewee) where questions are asked by the interviewer to obtain information from the interviewee. When you are shopping for a mortgage or for a realtor to help you sell your house or to help you buy a house, those that you talk to, should be interviewing you. Why should they be interviewing you? To get a feel for you, to understand your needs, and to get a feel for what your goals are now and in the near future. I have written about this several times, what a loan officer should be asking their potential client. Jeff Belonger's Interview process as a loan officer. So as a consumer, when shopping for someones services to help you with your mortgage or home buying/selling process from a realtor, what things should you consider? You can do a search online by using Google.com and Bing.com. Just type in the person's name and also do a search on their company. You might be surprised at what you find out. BBB - Better Business Bureau - Find out about the company that individual works for. Keep in mind that not everyone is always happy and likes to complain, so some complaints might be fluff per se. The National Mortgage Licensing System & Registry (NMLS) will be a great place to not only find out if that loan officer is licensed, but their credentials, and some history about that person. Here is the website : The National Mortgage Licensing System & Registry - This site is currently being used by 38 states and will be mandatory for everyone by the end of January.There will be a separate link just for this new site and for these searches. Keep in mind that this is a good form of transparency, but not 100%. It should be a solid tool though. 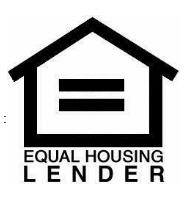 State and local agencies - Each state has their own web site for loan officers, mortgage companies, and realtors. There are different ways to search through these sites, but not every state has the same requirements. FHA Approved Lenders - HUD Lender Locator - This tool allows you to see what lenders are actually FHA approved. Summary : The bottom line is that you should become pro-active in your searches, when searching for that true professional. Even if someone gives you a referral, just don't take their word for you. I have seen referrals backfire for several reasons. And don't just take in account someones years of experience. I approved a loan 2 years ago with 15 years of experience at the time, after a loan officer had denied the loan 30 days later, who had 30 years of experience. Questions do matter, and not just name, rank, and serial number. Get to know who you are dealing with. Great info, Jeff. The interview, and the extra research, is a bit of due dilligence on the clients end that offers some nice rewards for the effort, and peace of mind, too. One of the questions you should ask is, "What question(s) should I be asking?" Jeff, Great Info as always. I feel with the new NMLS system for loan officers, this will give consumers confidence in our services and set ourselves apart in this industry as licensed professionals. DAVID.... . yes, due diligence. I try and tell people this is not like shopping for a car. The consumer needs to start taking responsibility for their choices. thanks for the compliment. HEATH... . well, that could be a whole other blog. And something that I did think about.. thanks for the comment. GARY.... . yes, the new NMLS system should be good... I just wonder how accurate it would be outside of letting people know what states that you are licensed in. Such as... how accurate will be time of service and your former employers. Who is going to police that? Will you be able to script your own profile? Just food for thought. Time will tell... and thanks for the compliment. Jeff: Good follow up thoughts to your earlier post. This is helpful to the consumer. Nice job! People should also just listen to their gut- if something or someone rubs them the wrong way, there is usually a reason! Interesting and so true. Many times the question "Whats the rate" seems to be the only thing they really want to know. Its important to know who you are working with. Good suggestion Jeff. PAUL... . thanks for the follow up and for compliments. JOHN.... . well, what's the rate would be the true interview and main part from the consumer... sometimes followed by, how long have you and or your company been in business. And these use to be selling points, but the main focal points were always missed. Thanks for the confirmation and for the compliment. Jeff - this two part series is so full of good advice, I had to reblog it so that more consumers could take heed. Thank you for providing this in an open forum. 1. 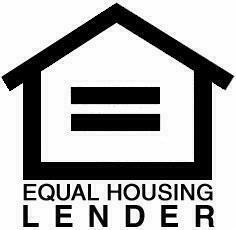 Not all orginators will be on NMLS----BANK ORIGINATORS ARE EXEMPT! 2. Many states already had some form of licensing requirements in place and that didnt stop bad originators from getting business. 3. Classroom knowledge that orginiators will have means they can pass test but that doens't mean have the understanding for real world application. Given those reasons, in my opinion a responsible homeowner or would be howowner should conduct a throrough interview of originators like you are proposing, and go with their instincts. Remember there are shady doctors, stock brokers, contractors etc that all have licenses.